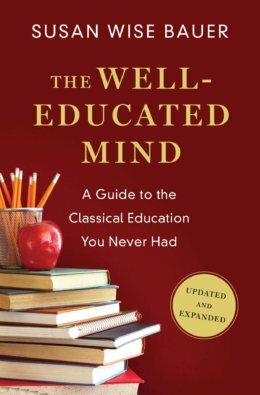 The enduring and engaging guide to educating yourself in the classical tradition, newly revised and updated to include standout works from the twenty-first century, as well as essential readings in science. The Well-Educated Mind offers brief, entertaining histories of six literary genres—fiction, autobiography, history, drama, poetry, and science—accompanied by detailed instructions on how to read each type. The annotated lists at the end of each chapter—ranging from Cervantes to Cormac McCarthy, Herodotus to Laurel Thatcher Ulrich, Aristotle to Stephen Hawking—preview recommended reading and encourage readers to make vital connections between ancient traditions and contemporary writing. The Well-Educated Mind reassures those readers who worry that they read too slowly or with below-average comprehension. If you can understand a daily newspaper, there’s no reason you can’t read and enjoy Shakespeare’s sonnets or Jane Eyre. But no one should attempt to read the “Great Books” without a guide and a plan. This book shows you how to allocate time to reading on a regular basis; how to master difficult arguments; how to make personal and literary judgments about what you read; and how to appreciate the resonant links among texts within a genre—what does Anna Karenina owe to Madame Bovary?—as well as between genres. Is the book essentially a list of recommended reading or does it include excerpts and essays from each category to read directly in it? It’s a lot more than just a list! It contains chapters on how to get the most out of the history, fiction, drama, poetry, etc that you read (including the best ways to take notes, etc), as well as explanations/histories of how each of these types of writing evolved over time. My colleagues and I have been waiting a while for a History of the Modern World book(s). Is there a time frame on these? How are you planning to structure it/them? one book two books.. more?